I hadn’t planned on spending the night in Dallas. But after the delays in flying out of Aspen, I arrived at DFW too late to make a connection to Memphis, so I had no choice. While on the plane waiting for boarding to complete in Aspen, I used the Hyatt app to book a room near the airport. I had spent a night at the Hyatt Regency DFW in October 2015. I thought about booking a room at the Grand Hyatt since it’s connected to the terminal. But since I knew I’d be paying for this stay out of pocket I opted for the Hyatt Place DFW. It’s a fairly new property, having been open just less than a year. In general, I love Hyatt Places because I love their consistency. I know I’ll get a large room with a separate seating area, good wi-fi, an airport shuttle and free breakfast – things I value highly. This hotel was no exception. My flight landed in Terminal B and I called the hotel from baggage claim. Their shuttle picks ups at either end of the terminal so I scooted down to the B1 end of the terminal where I found two others waiting as well. The shuttle arrived in less than 10 minutes, which was great since I’d already had a long day. Fortunately ours was the last pickup before heading towards the hotel. On arrival, I was able to go directly to the check-in desk since I only had two small backpacks. Fortunately I’d planned for the possibility I might get stuck getting out of Aspen and one backpack contained clean clothes and personal grooming items. Yay, me! The tiny Aspen airport is so convenient. It was just over 8 miles from the Top of the Village condos in Snowmass where my group stayed on our recent trip. 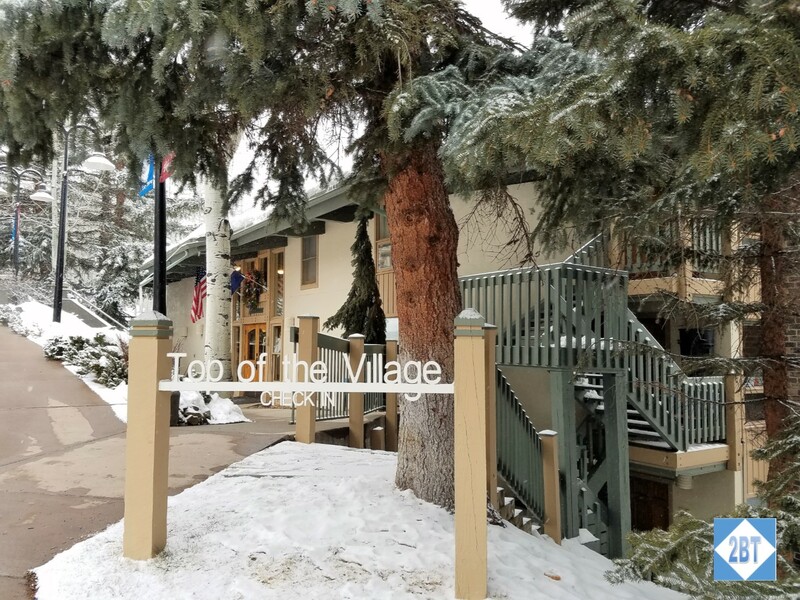 It’s only 3.5 miles from downtown Aspen. So, so convenient. Today American Airlines presented the details of its new basic economy fares. Following the leads of Delta and United, this cheaper fare will come with a number of restrictions – though travelers will be able to decide for themselves what the better choice is. There are further restrictions on the number of Elite Qualifying Dollars/Miles/Segments earned on these type of fares. Basic Economy Fares will go on sale in late February on specific routes. I’ve been analyzing how this will affect me personally. I don’t have elite status with American but I do hold two of their co-branded credit cards. So I don’t have to worry about boarding last or not being able to use the overhead bins. The real difference is seat selection. For me, I think it will depend on my destination. I think that for a single-leg (each way) flight this might work for me. I’m specifically thinking of flights to Chicago that are serviced by a regional jet. These seats are in a 2×2 configuration so there’s no worry of a middle seat. If I’m not making a connection it doesn’t matter whether or not I’m in the back of the plane. Even if I have a relatively short flight, a middle seat is not the end of the world. But for longer or multi-leg flights I suspect I’ll be paying more to sit where I want. I stayed here for almost a week with my ski club. TOV has lots of good things going for it but could use a refresh. There are four buildings: Leaf, Slope, Trails, Summit. 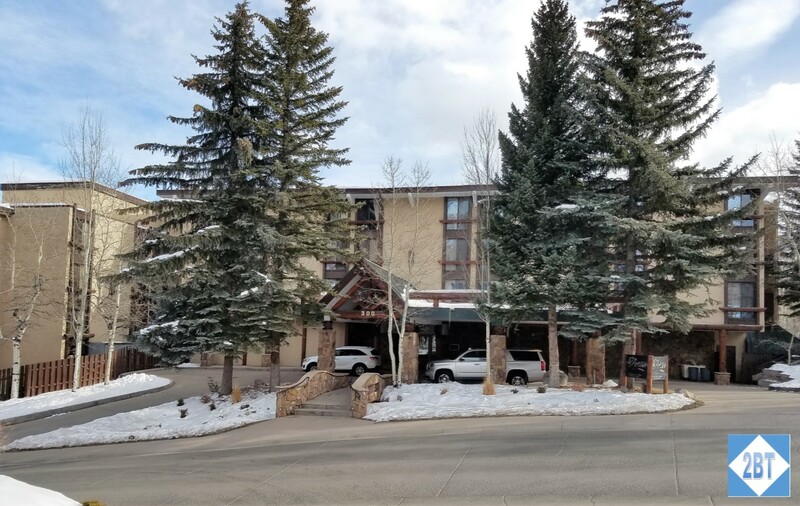 Each building is slopeside (ski-in with a small hike to ski-out) and each condo has a slope view. Our group utilized both 2BR and 3BR condos. I am not sure if there are larger or smaller units. Each unit is independently owned, so furnishings and decorations are up to the owner. As you might expect, some units have been refreshed more recently than others. Each unit has its own wi-fi router though I was surprised at how my signal sometimes dropped when I was in a bedroom with the door closed. Each building has only one (slow) elevator and sometimes it seemed to get stuck. As we were on the second floor we’d walk up on those occasions, but at altitude that’s a lot more difficult than it looks! I didn’t set out to stay at the Stonebridge Inn. When I learned my ski club was doing a trip the first week of January the timing worked out well for me. The catch was that it wasn’t on our normal Saturday-Saturday schedule since the first Saturday would have been New Year’s Eve and no doubt quite expensive. So we were running a Monday-Sunday trip. I noticed that there was an IHG property in the area and thought that would be a good use of the free night certificate that comes with the Chase IHG MasterCard each year. So I booked myself a flight to get to Snowmass a day early and used the free night certificate. Unfortunately a couple of months later I was notified that by January the property would no longer be under the IHG umbrella so my reservation was cancelled and the certificate was restored to my account. 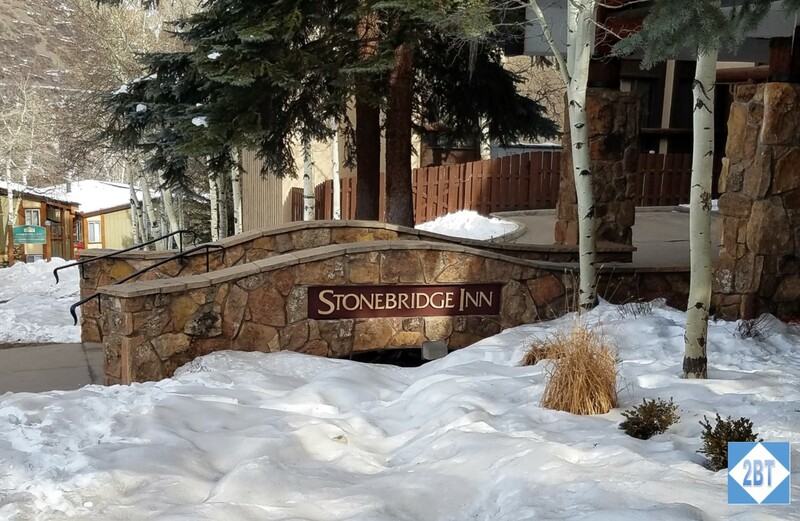 Not wanting to part with number of SPG points required, I was able to get a room at the Stonebridge Inn for one night. I paid with my Chase Sapphire Reserve and the $200 annual travel credit covered the majority of the room charge. My flight arrived just after noon so it was no surprise that my room was not ready. But the friendly counter folks kept watch over my luggage while I walked up to Snowmass Village for some lunch and shopping. They gave me a call less than an hour later to let me know my room was ready. US Bank has a couple of credit cards that I’ve found useful. I’d had their Club Carlson Visa and I got good value from Club Carlson points in Turkey a couple of years ago but since then the card had sat idle in my drawer. Last year I changed to the Cash+ card. 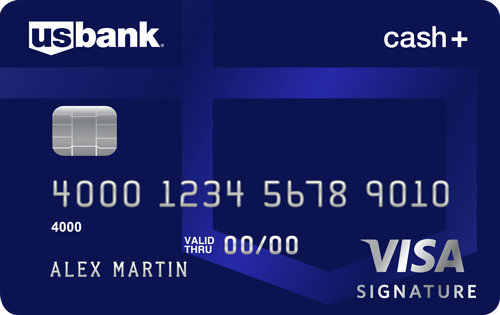 Each quarter the US Bank Cash+ Card allows you to select the cash-back categories that best fit your needs. There are three categories that are 2% cash back each quarter and you can select which categories you’d like for 5% cash back from a list. While the 2%/5% categories max out at $1500 in purchases each quarter, you can get unlimited cash back at 1% for all purchases after the $1500 or for any unbonused categories. Effective February 15, 2017 a new 5% Cash+ Category will be available: Ground Transportation featuring merchants such as Uber and Amtrak®. Also effective February 15, 2017, the 5% Charity Category will no longer be available. While that’s great for folks who use Uber and Amtrak, it defeats the main purpose I had for getting the card, namely charitable donations. I’ve been blessed with a good income and like to give back and this was a real incentive to do so. Does this category change negatively impact you?